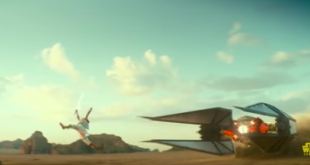 It’s an insightful sentiment from Kathleen Kennedy, president at LucasFilm, and one that offers a glimpse into the thought process behind the sci-fi saga’s latest development: the launch of Star Wars: Forces of Destiny. 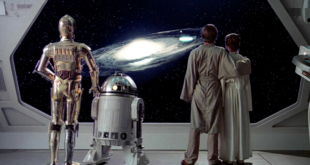 An iconoclast of pop culture, for years fans have projected upon the Star Wars doctrine, while likewise the movies have reflected it back at them. It stands to reason then, that at a time in which female empowerment is finally infiltrating the entertainment industry’s big spend roll-out, Disney is shining the spotlight on its cast of strong female leads. 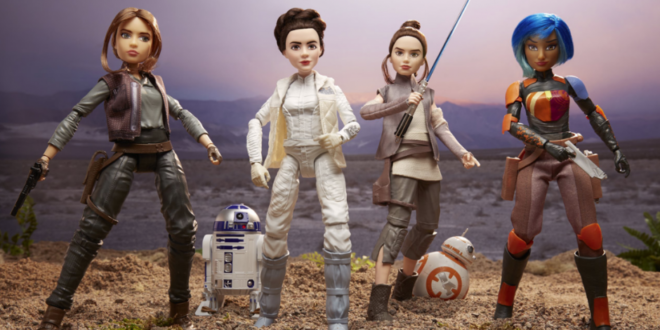 From Princess Leia to Rey, Disney’s Star Wars: Forces of Destiny is putting the franchise’s female heroes in the driving seat of a new animated series and action doll line from Hasbro, in a bid to bring the brand to a new generation of new audiences around the world. The call for less gender specific toys inspired by the juggernauts of pop-culture entertainment has finally been heard. “We are excited to have recently announced Star Wars: Forces of Destiny; a new initiative celebrating the inspiring stories of iconic heroes from across the Star Wars universe,” Anna Chapman, vice president of Disney Consumer Products, EMEA, tells ToyNews. "Forces of Destiny is a fusion between traditional dolls and action figures, with an authentic and unique styling." With more shorts slated for release this year and starring the likes of Jyn Erso, Sabine Wren, Princess Leia, Ahsoka Tano and more, Disney is tapping into the girls’ space, ensuring Star Wars is an all encompassing brand that isn’t constrained by gender specificity. Disney’s move is, of course, in stark contrast to Hasbro’s previous attempt at a toy line for the franchise. When Star Wars: The Force Awakens launched in 2015, its corresponding toy line was met with a chorus of backlash from fans and moviegoers enraged at the company’s apparent dismissal of the film’s female protagonist, Rey. Could Forces of Destiny be Disney’s overcompensation for the earlier faux pas? Only to the overtly cynical. The rest of us will be rejoicing at the ever closing-in golden age of female empowerment, and thanks for Forces of Destiny, kids inspired by the global brand will now be able to enjoy a collection wholly intended to champion the female role models lighting up the big screen. And the Star Wars saga doesn’t end there, as Star Wars: The Last Jedi prepares to hit cinemas at the end of the year, presenting yet more opportunities for the studio and its $10 billion franchise. 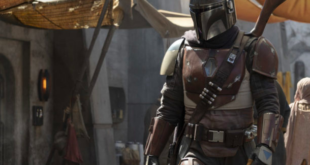 Of course, Star Wars is one (albeit, lucrative) string to the Disney bow as the studio prepares to launch a slew of new product lines for the likes of Sony and Marvel’s Spider-Man 3: Homecoming, Cars 3 and more. It’s all good news for retail as Disney prepares for some triumphant sales figures this year. "2017 is set to become our biggest year for retail sales," continues Chapman. “The scale of the Disney brands at retail reflect the strength of our properties and this is thanks to extensive new product launches, a host of amazing new films and content as well as marketing support for our evergreen brands." But it would be churlish of the studio to simply rely on box office release dates to fuel its consumer products division. Star Wars, Guardians of the Galaxy Vol. 2 and Frozen are all performing well at retail, but what strategy is Disney implementing to ensure that its slate of big movies makes the transition to evergreen status for the years ahead? “We have incredibly strong consumer and retail marketing programs already in place to support these major franchises," answers Chapman. 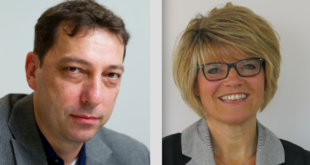 "This will drive the product sales from launch and well beyond the movie release period, and although films are of course integral to our business, we also pride ourselves on our ‘evergreens’ such as Mickey and Minnie Mouse, Frozen and Disney Princess. Having worked with a whole host of toy companies, from the likes of LEGO, Mattel, Sphero and Simba, Disney’s toy offering is nothing short of varied, with categories spanning role-play, ride-ons, plush, construction and outdoors, which has continued to prove popular with fans. Despite already spanning the spectrum of toy categories, Disney isn’t stopping short, instead throwing itself into the latest craze to have taken the toy space and the playground by storm: Fidget Spinners. Having recently topped Amazon’s toys and games bestseller list and more indie retailers stocking the fidget toys, any firm would be remiss to not take advantage and embrace the fidget trend. "We are expanding our offering within the gadget and tech space with multiple product launches incorporating the latest technology appealing to adults and kids alike." With more and more kids choosing to play with gadgets and tech toys, it seems fitting that Disney is bolstering its portfolio with relevant products such as the Ultimate Lightning McQueen and Spider- Man Interactive Super Hero, with more items to follow later this year, while a new set of flying R/C vehicles are also ready to make their debut in stores. “We are also expanding our offering within the gadget and tech space with multiple product launches incorporating the latest technology appealing to adults and kids alike,” declares Chapman. So what more could be on the cards for a global firm like Disney? With additional live-action films on the way and more licensing deals than ever before, the firm has once again set its sights on the highly lucrative video games market. “We are working with a number of fantastic game developers and publishers and we have some really exciting titles launching over the coming months," continues Chapman. It looks to be an exciting year ahead for The Walt Disney Company, then, who remains ever-optimistic about its blockbusting property line-up for 2017 and beyond.